When the days are short and the nights are long, when everything is cold to the touch and you just want to feel the warmth of the sun again, a music festival can come to your rescue – all you need to do is hop on a plane or in a car and get outta your snowy town. These international offerings either take place during the Southern Hemisphere's summer, or in the warmer southern states of the U.S. Toastier times await you. Envision is as close as you're going to get to the kind of tropical vacation you'd take to get away from it all, only there's music built in, and learning experiences to boot. 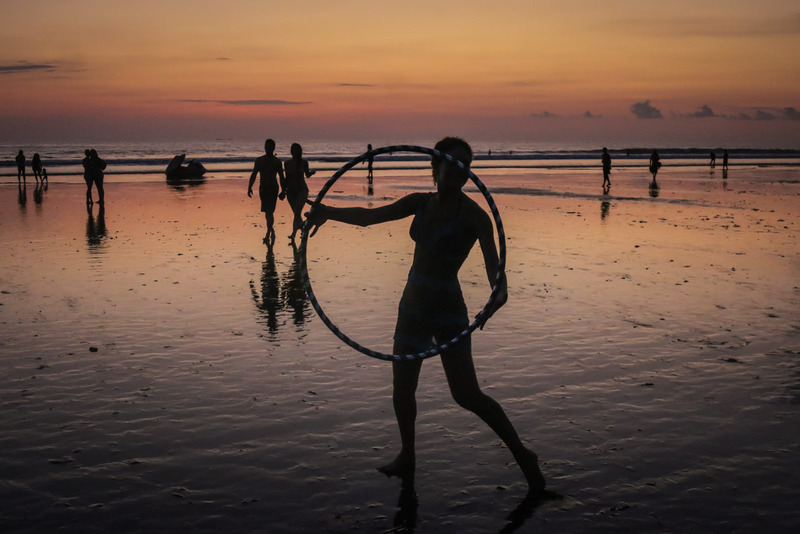 It began in 2011 on a small plot in the bohemian beach village of Dominical in Costa Rica, one of the most ecologically diverse countries in the world. In 2014, it settled at Rancho La Merced, the national wildlife refuge. The festival takes place in a beachside jungle, so you get the best of both worlds. It's a space where people want to unplug, escape the winter, and feel good; after all, the festival’s slogan is viva la experiencia (live the experience.) Yes, there are four music stages, but Envision isn’t just about music—there’s equal space devoted to activities such as yoga and sacred movement (drumming, kirtan, etc. ), healing modalities, permacultures, art, and plant healing. Holy Ship! has all the elements of a mega electronic dance music festival, including big-name DJs, beautiful bodies, all-night parties, and glowing lights—minus the masses and mud. Think Electric Daisy Carnival, but with only three percent of the crowd. And on an air-conditioned boat. Yes, Holy Ship! is a floating fiesta aboard a 4,000-passenger ocean liner. The music starts as soon as the vessel pulls out of port in Miami and heads for the Caribbean...and it doesn't let up for the next 60 hours. Some ravers dress as robots, others as sea creatures, with maybe a banana and nun costume thrown in for good measure. Needless to say, the scene gets trippy fast. DJs stoke parties in various venues, including the Pantheon Theatre (the biggest stage), the Black & White Lounge (medium-sized), and the Galaxy Disco (tiny). Impromptu sets flare up everywhere from the pool deck to the dining room. And that's just day one. The party migrates to the beach once the ship docks at the Bahamas. 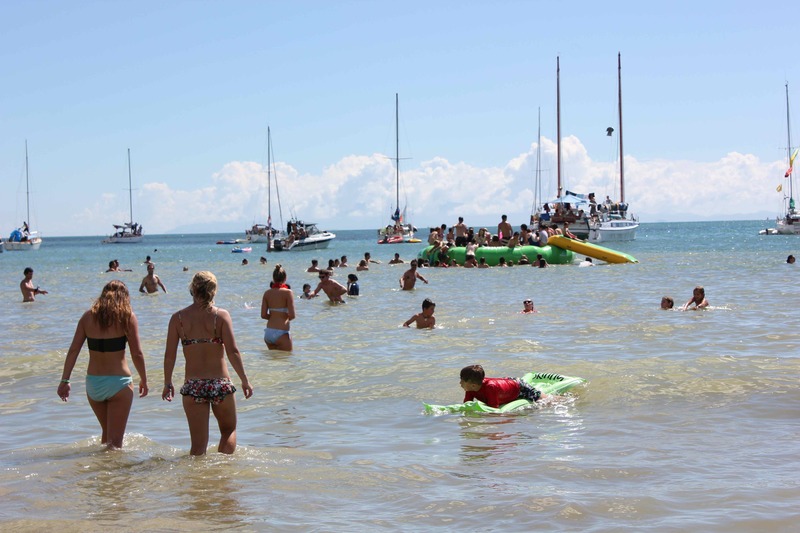 Staffers ferry everyone over to a private island, where guys bust out their white captain hats and ladies don bikinis. Some frolic in the shallow surf on blow-up shark rafts while others play volleyball or build badass sand sculptures. 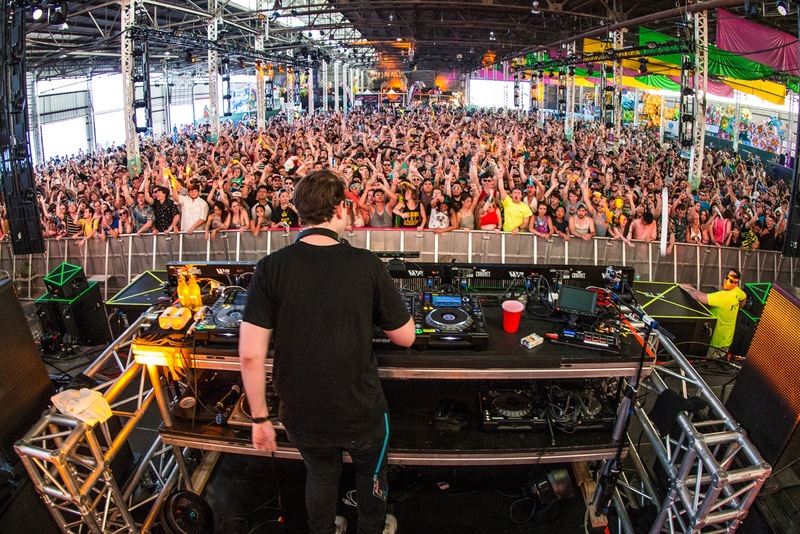 BUKU—pronounced like the French word for “a lot”—is indeed a big deal, even if it’s a boutique event. Begun in 2012, this annual two-day festival is a cool, eclectic tribute to New Orleans, and to today’s most progressive music genres and artists. The indoor and outdoor stages and the spaces in between all exude a party vibe that’s simultaneously industrial, artsy, and sassy. Other elements providing atmospherics include an river barges floating busily by, the view of the skyline and the Crescent City Connection bridge, and the short stroll to the Big Easy’s legendary French Quarter. If you're looking for an escape from the winter closer the home, BUKU could be it. The fact that BUKU is an art event is right in the name, even though people primarily think of it as a tunes fest. That being said, the art should not be missed. It’s a performance unto itself, with local and national artists of all stripes “doing” art right in front of you. Throughout the grounds, there are plenty of creative installations and exhibits, the signature one being the manic-looking and always-changing BUKU Graffiti Wall. You’ll also see sculptures, paintings, and pieces patched together out of a variety of other mediums, many of them interactive. In 2013, artists constructed “Fort BUKU” from reclaimed materials—it turned into a place for attendees to be while watching the musical performances. 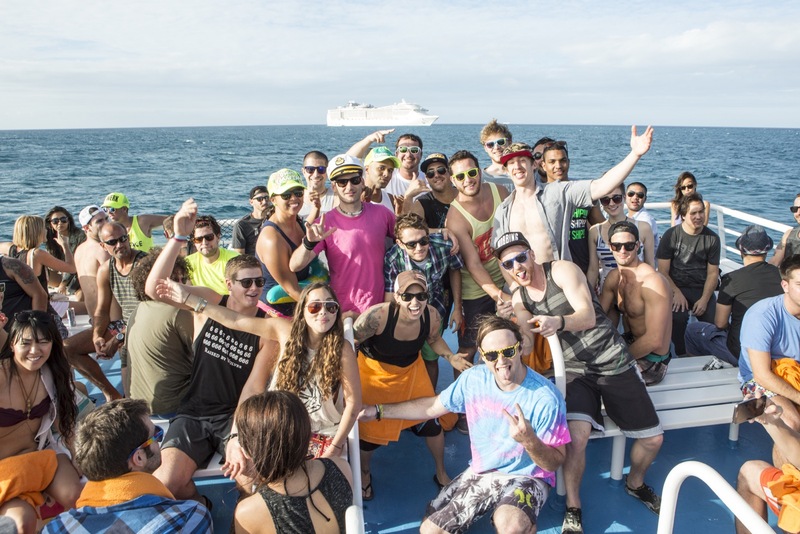 For the festival bucket-lister, Jam Cruise is a must, especially if jam music is your...jam. What else combines a five-day festival, three countries, and the stunning backdrop of the Gulf of Mexico into one constant party? 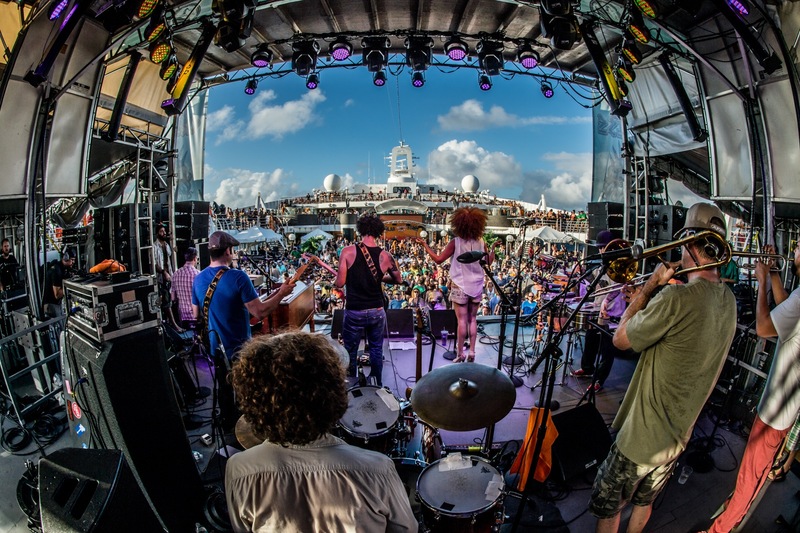 Now in its fourteenth year, Jam Cruise has earned a reputation for its easygoing, happy-go-lucky atmosphere. In essence, it is a music lover’s ultimate carefree vacation. For more than a decade, it has provided its 3,000 attendees a welcome Caribbean respite from the January blues. The party starts with a kickoff concert the day before the ship embarks. Once you’re on the water, most acts play two sets, giving festival-goers an opportunity to see as many performers as possible. In addition to the kickoff party, there are pre and post shows in the Miami area for those that just didn’t get enough music on the ship. Once you set sail, there’s no time to be bored while on board, what with food available around the clock, a pool, spa, and a casino. The spectrum of available activities also include a poker tournament, a door-decoration contest, autograph signings, and game shows. There are yoga classes, educational workshops, and seminars featuring artists and special guests. Things get wild after sundown, with themed nights that might have you dressing for the disco. And don't forget: There’s always the option of just chilling by the pool with a cocktail and a good book. Rainbow Serpent has come a long way since it started in 1998. First, it was a small gathering in a secluded clearing; now it's an internationally recognized festival that's become an institution to many of its loyal followers. The festival offers much more than the usual lineup of electronic music. It is a chance to truly escape the commercialism of the modern day world and reconnect with the earth in a way that the aboriginals have done for many thousands of years, all during the Southern Hemisphere's summertime. 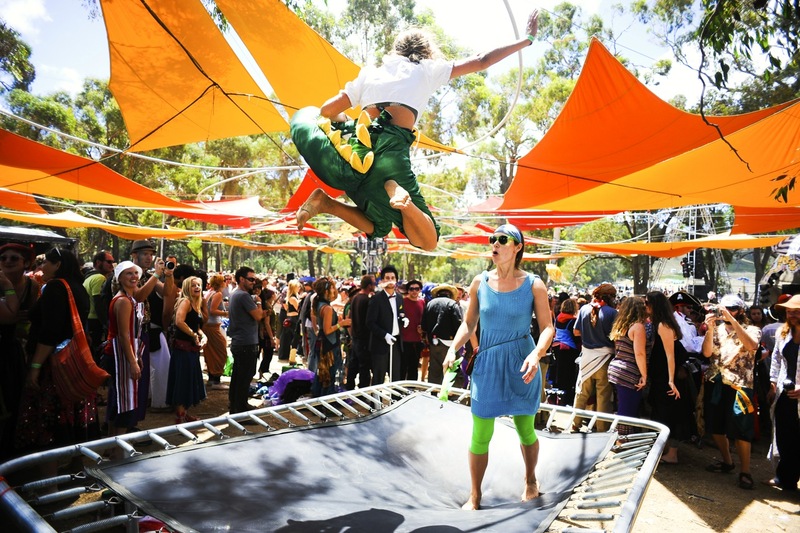 The Rainbow Serpent Festival is largely known for its music, featuring genres such as psytrance, chillout, tech house and other variants of these styles. Mostly electronic-based, the music runs 24 hours per day over four days. While the music on offer is mostly electronic, the Playground Stage showcases independent bands or live instrumental performances. Here there are other acts ranging from comedians, cabaret and burlesque performances to magicians. The Playground Stage also attracts some of Australia's best circus performers and fire twirlers. For those needing a break from the music, there's art everywhere. Artists are encouraged to showcase exhibitions, sculptures, digital art and paintings, many that spontaneously appear throughout the festival weekend. Another warm place to visit while much of the rest of the U.S. is cloaked in cold is good old Austin, Texas. During much 10 days in March, SXSW serves as a boisterous Mecca for music, technology (Twitter debuted here) and film which draws tens of thousands of attendees every year. While SXSW does not favor the unprepared, it does reward the spontaneous. Decide who on the schedule you want to see play (there are dozens upon dozens of bands who've come to prove themselves), but don’t be too attached to your plans—you never know when an invitation to an amazing showcase or surprise concert will come your way. Instead of one large performance space, SXSW takes over dozens of smaller venues and businesses throughout downtown Austin. Stubb’s, a local BBQ joint, is the unofficial home of the festival. The media aims its lens at Austin for weeks building up to, during, and even after the festival. Celebrity sightings are common. It might just be the jolt of energy you need during an otherwise sluggish winter. From its humble beginnings in 1990, Splashy Fen has evolved to become one of South Africa’s premier music festivals. Thousands of people make the annual pilgrimage to Underberg in KwaZulu-Natal for what is regarded by many as Africa's answer to Glastonbury. Today, attendance has grown to the point where Splashy Fen now attracts crowds upwards of 10,000 people from all corners of the country and abroad. With a natural amphitheater providing excellent acoustics, breathtaking mountain vistas, a winding river, and lots of fields for camping, the farm is perfect for a music festival, especially for those looking for a respite from the Northern Hemisphere's chill. Beyond the live music performances there are plenty of opportunities for the whole family to get outside in the surrounding area, such as horseback riding, golf, hot air ballooning, helicopter flights, paragliding, hiking, and quad bike tours. The African Rainbow Village offers patrons a fantastic opportunity to browse through crafts, engage in fascinating workshops, or indulge in a delightful therapy treatment. 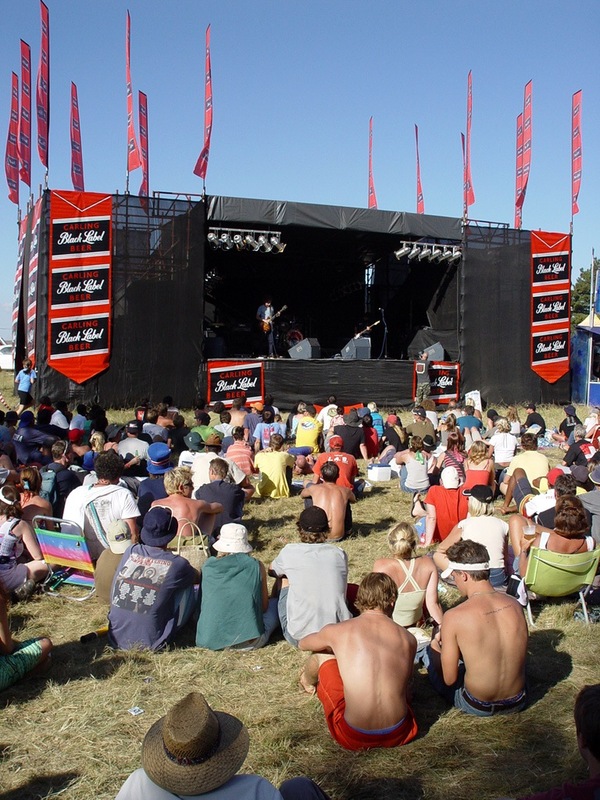 The festival has become an integral part of the South African music scene. 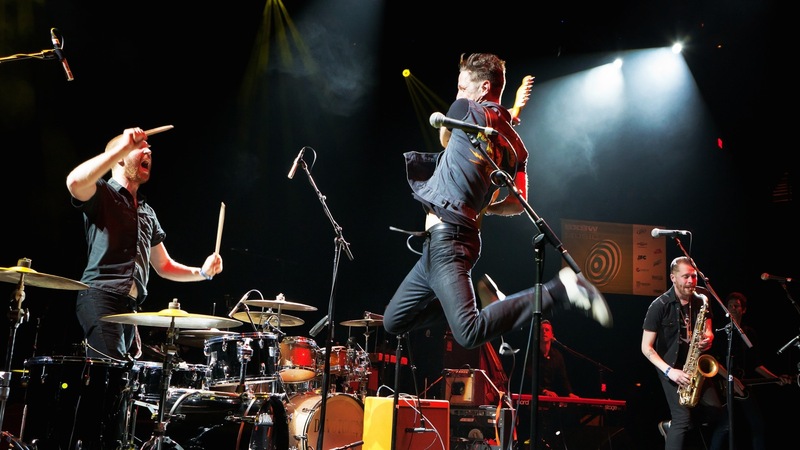 From the early days of folk and folk-rock, the festival has expanded to include a wide range of popular and contemporary music including rock, blues, indie, house, and techno. Bands and musicians come from all over the country to perform at the festival. Traditional African music plays a big role, including mbaqanga, the up-tempo jive music of the townships and the wonderfully distinctive Zulu style of isicanthamiya, the singing made famous by groups such as Ladysmith Black Mambazo. Splore combines live performances, caravan and tent camping (even glamping), a family friendly atmosphere, sunny days on the beach, and artist-designed trails for revelers to explore. Costumes are encouraged, nay, they are practically required. The word “splore” means "carousing," so it’s an apt name for a festival that celebrates the fine art of frolicking, and the setting in Tapapakanga Regional Park lends itself to gallivanting in nature. Like most modern festivals, Splore serves up a mix of live acts (music, theater, and poetry), experiences along designated art trails, and a safe space for celebrating and learning. The park also features five separate campgrounds and a pohutukawa-lined beach ideal for swimming in the warm South Pacific with a drink in hand. Pohutukawa, an indigenous tree to New Zealand, bursts with bright red billowy and spidery blooms from December through February, an extra touch of awesome to any beach. The beach and water play a vital role in Splore’s mise en scene: kids, friends, and families swim in the ocean while a band plays on stage; the tonier attendees arrive by boat, anchored offshore; and, if you’re tired of the salt water, there’s more wet play to be had in the inland fresh water lagoon. 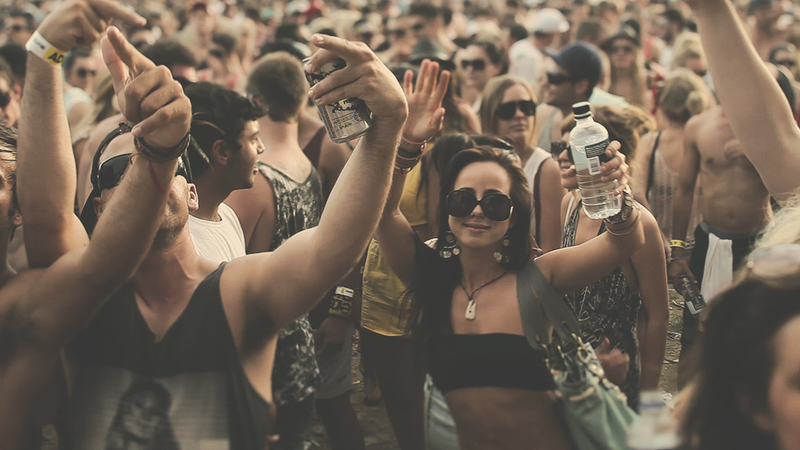 Stereosonic has grown into a large set of music festivals since its conception in 2007. From its humble beginnings in Melbourne nightclubs to its successful venture expanding five states, Stereosonic has quickly become a bucket list rave any EDM head would want to attend. Let’s not forget about the weather! While Americans retreat to their homes as a result of the winter blues, Australians and tourists alike rage to the generous warmth and sunshine. Summer begins in December; as all festival-goers understand, summer is prime festival season. Not only does the event host some of the biggest names in the electronic dance music industry – such as Calvin Harris, Tiesto and Diplo, no matter where you’re located on the continent, the festival is a short flight or train ride away. From Western and South Australia to the east in Queensland, New South Wales and Victoria, Stereosonic has made a remarkable impression on Australian music culture. Sunburn brings together renowned Indian and international DJs to entertain the crowds, who come in the thousands each year (up to 150,000!). With a variety of experiences to choose from, Sunburn highlights India as a festival destination, and even boasts Asia's largest single stage. The line-up of artists is hand-picked and showcases some of the most renowned DJs from around the globe alongside local Indian talent. Sunburn hosts a variety of electronic genres from trance, house, electro, techno, drum & bass, psytrance and many more. Due to the huge popularity of the event, some of the biggest names in dance music have performed at Sunburn including Swedish House Mafia, Armin Van Buuren, Axwell, Afrojack, Tiesto, Above & Beyond, Paul Van Dyk, Avicii, Skazi, Infected Mushroom, Pete Tong, Dash Berlin, Markus Schulz, Mark Knight and James Zabiela. And it's not called "Sunburn" for nothing. Goa has some of the best beaches in India and attracts a young energetic crowd to its shores. This party atmosphere ensures that the action doesn't end when the festival is over. There are multiple after-parties organized for everyone to kick on and dance the night away! If you’re a little tired from all the walking around and the madness of the crowd, take a sunset cruise on the Arabian Sea. These leave each day from the beach and are well worth checking out. 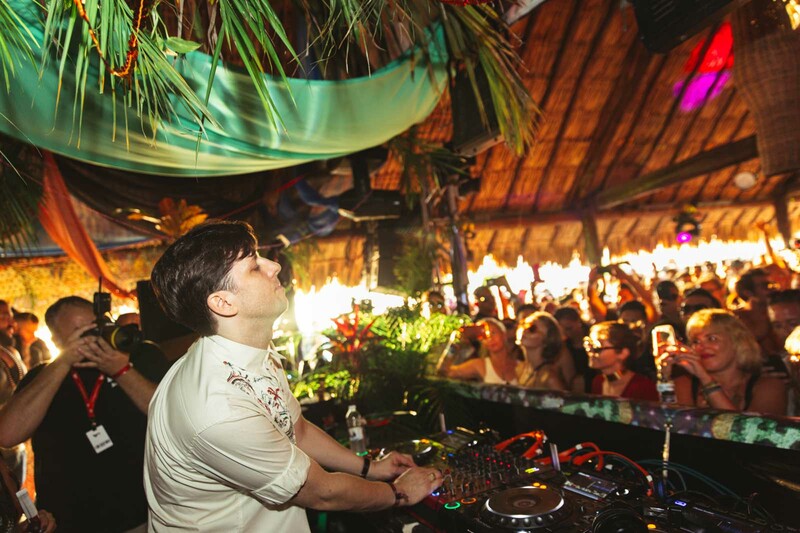 With the turquoise-blue waters and powdery, white sand beaches of the Caribbean as its backdrop, the 10-day BPM Festival is a knock out event for electronic dance music lovers. Since its founding in 2008, BPM has grown and established itself as a music destination festival to rival the summer scene on the Mediterranean island of Ibiza. 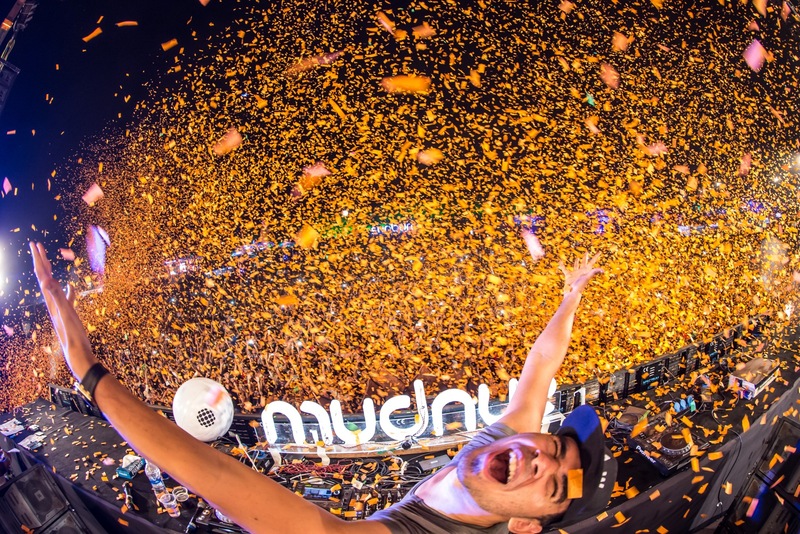 Thousands of international revelers are lured to all-day and all-night parties where lineups of the world's top dance music artists perform and DJs spin the hottest and latest in electronic sound. BPM's setting on the Yucatan Peninsula provides party-goers who want a break from the action plenty of options, including snorkeling, diving, jungle tours, zipline excursions and visits to cenotes, underground caves of freshwater ponds and rivers that are delightfully refreshing escapes for cool dips on hot days.